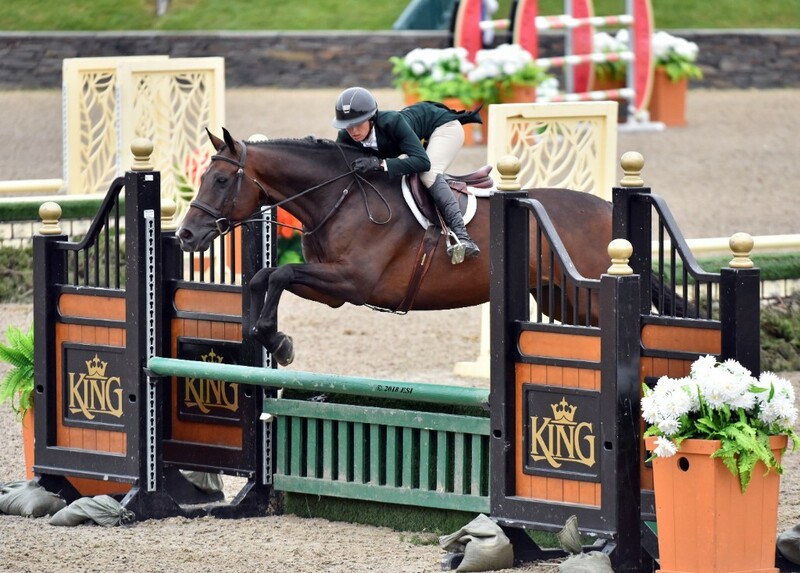 The 2018 edition of the Richest Week in Show Jumping has come to a close at HITS Saugerties, with hunter riders from across the country taking aim at the $600,000 offered in the two Hunter Prix Finals featured on the final day of the HITS Champsionship. Professionals, amateurs, and juniors alike all had a fair shot at the first place trophy and hefty prize money check offered in the Platinum Performance $100,000 Hunter Prix Final and the Diamond Mills $500,000 Hunter Prix final. No other show week in the US offers this amount of prize money for Hunter riders. Katlynn Butler and MTM BAZINGA. The 21-year-old rider from Virginia took the win aboard MTM BAZINGA, a ten-year-old Dutch Warmblood gelding owned by Nina Butler. "I was a little nervous going into the third round, I really didn't want to place below the top four." said Butler. "It was really fun getting to come to HITS Saugerties and show in the outside course after spending the winter at HITS Ocala. I loved the bank and the ring in general. We're also only a couple of hours from HITS Culpeper so we plan to go there at the end of the month and keep coming back to the HITS facilities!". Stay tuned for winter results following Butler and the other riders who will join us at HITS Ocala and HITS Coachella. Top: Amanda Steege and LAFITTE DE MUZE, winners of the $500,000 Diamond Mills Hunter Prix Final. Bottom: Tracy Fenney and MTM OUTBID, second place in the $500,000 Diamond Mills Hunter Prix Final. Following in the spotlight for MTM Farm, Douglas would be the first to come back for the fourth round aboard S & L LION KING with a smooth course earning a combined score of 351.25, putting the pair in fourth place overall. 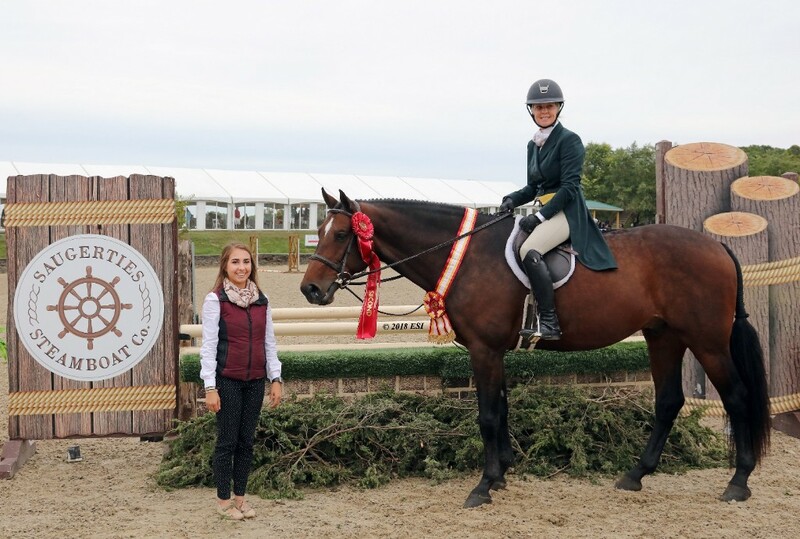 "We have an amazing permanent barn on property at HITS Post Time Farm so we love it there, but we also get excited to come to HITS Saugerties for the HITS Championship Week." said Douglas. Iwasaki took to the course next with her mount SMALL OCCASION, quietly jumping fence after fence and earning a combined score of 353 and earning third place overall. Iwasaki was the winner of the 2017 $100,000 Platinum Performance Hunter Prix Final and joined HITS all the way from California for this prestigious class. 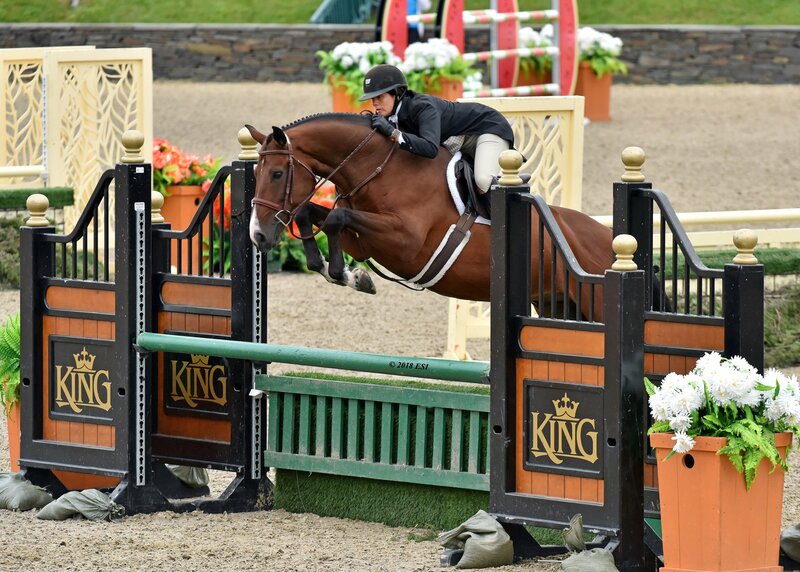 MTM OUTBID and Fenney, the second rider in the top four from MTM Farm, entered next, laying down a solid course and being a strong contender for the win earning a score a combined score of 356 and taking second place overall. "I primarily only show hunters and we don't have any other classes in the country where you can win $150,000 in one class, so it is exciting." Fenney stated when speaking about the uniqueness of HITS Saugerties. Last to go was Steege, maneuvering through an incredible course and holding her top spot from the third round with a combined score of 362, taking the win. Steege was awarded first place aboard LAFITTE DE MUZE, a seven-year-old Holsteiner gelding owned by Cheryl Olsten of New Hope, Pennsylvania. "This has been my first full year with this horse. I got him from Europe in the fall and took him to his first show at HITS Ocala this past winter, where I started doing the Devoucoux Hunter Prix with him. He has a lot of potential," said Steege, a repeat HITS customer and champion. 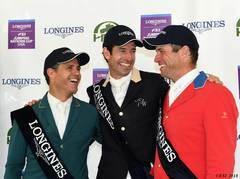 "I've been second and third in the Diamond Mills $500,000 Hunter Prix Final before here at HITS Saugerties, so it is really exciting to finally win at this great facility." That's a wrap on the 2018 HITS Championship Week. For more results, visit hitsshows.com or follow our social media pages to stay up to date on the latest action!